Ask fellow campers about "Fall Creek Falls State Park" and nearby attractions. Question: Is there a map of the actual RV campground that shows the different sites along with hook-up options? It would help in making a decision based on reviews as to which site to request. 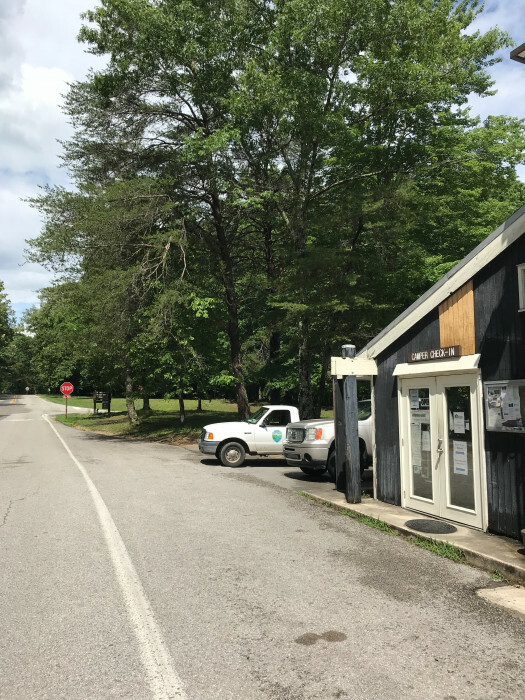 Answer: The Tennessee state parks website shows a complete site map with photos of each site and details about hookups, etc. You can also filter by hookups. Also, many TN state parks do not offer sewer hookups. Fall Creek Falls has them at some sites, but not all. Our initial assigned site was unusable - full of logging debris, deeply rutted and eroded. The remaining available sites were quite unlevel but we found one that worked with a bit of effort. Interior roads were snug but we did okay with our 34-foot motorhome. Recent storm with lots of trees down. Sites are crowded by State Park standards. No problem with utilities. Camping area itself not scenic but nearby hiking is fantastic. Fall Creek Falls trail is steep but worth the hike. Beautiful easily accessed vewing area from above if you don't want to take the trail. Don't miss buzzards roost overlook down the scenic loop road. We camped at Fall Creek Falls State Park in a Motorhome. A pretty state park. 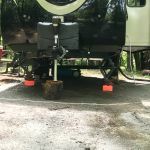 We stayed in the B campground and while the site was nice, having full electric, water and sewer, it was a nightmarish challenge to thread our trailer into the slot between trees. This particular site is identified as "moderate incline", which mean _drop your tongue to the ground. Sites tend to be unlevel so bring blocks. 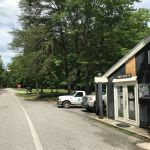 Nice amenities in park with a general store nearby to get beer and munchies and even a few RV needfuls if necessary. Staff patrols regularly and waste receptacles cleaned daily. Great place to visit. 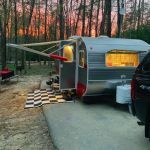 We camped at Fall Creek Falls State Park in a Travel Trailer. Decent campground, excellent hiking, beautiful views. 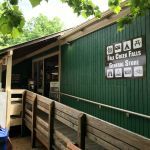 We spent three nights at Fall Creek Falls State Park Campground. Pretty steep site in section E. Our trailer tongue was practically on the ground, but we were able to level. (Most sites in E were pretty flat, we just picked a steep one by accident.). The campground was clean, staff was nice, amenities were acceptable. I will stay again for the hiking. We camped at Fall Creek Falls State Park in a Travel Trailer. This is a very large state park that has everything....our site was big but like most of the sites they are a little to a lot unlevel so bring your blocks or 2 x 12's, but don't let that keep you from this campground....services were all fine, ATT cell signal was good and they have WiFi thru Tangonet, which is free or they have plans if u need to stream....we got several ota channels....the restrooms were clean and the showers had such great water pressure that you don't need soap, the water will blast the dirt away...they sell wood at the check-in and stores or they will let you collect wood from around the park that is down and cut up...each site has a picnic table and fire ring...the park has everything you want or need, stores, pool, restaurant, snack bar, Trails hiking and biking, falls, swimming, fishing and a lot of peace and relaxation.....they park does show some age and could use some maintenance but don't let it discourage you...we will be back if in the area.....I like the idea of each camping site has their own trash can that they come around and collect, staff was friendly and there is a camping site for all types here..... We camped at Fall Creek Falls State Park in a Motorhome. My family loved camping at Fall Creek Falls. 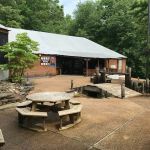 Lots to do for all ages including hiking, fishing, craft beer at the general store, multiple playgrounds, golf, and places to just relax. Had to work to get level at our campsite, which is the only reason I didn't give this place a 10. But still, our campsite was spacious and private. We will definitely be back sooner rather than later. We camped at Fall Creek Falls State Park in a Travel Trailer. Very big campground with LOTS to do. Sites are varied as far as shade and level. We had a pull through in A loop that we could not get into and get level or use slide and awning. They transferred us to another site that was a pull through and was spacious and shady. We had to use blocks to get level and the asphalt pad had a little bit of a drop off. Almost all the rigs were blocked to get level. Looked like D loop had larger sites when we drove through. Friendly staff. Bathroom/shower clean with hot water. Lots of tent campers when we were there and the kids were having a blast riding bikes and playing in a large grassy area where the deer liked to roam in the early am. Nice pool, shopping village, grill/cafe. Come in from hwy 111..NOT hwy 30. We followed the signs and they brought us in through a ridiculous windy narrow road on hwy 30. Lots of hiking available for all levels of expertise. 2 suspension bridges. Beautiful Falls. We camped at Fall Creek Falls State Park in a Travel Trailer. Shopping Village within the campground for supplies and crafts, outfitter etc. Largest SP in Tenn. Saw review in Southern Living mag and decided to come. Park is really off the beaten path and you wonder if you are ever going to get there for the first time. We had reservations but the site they sent us to was very small for our rig. While trying to get to check in a branch over the road took off refrigerator vent. Ugh. Next site un-level as are most sites. That is our biggest complaint that sites were way too slanted, and not maintained. Stay away from C section. Golf course nice, Olympic swim pool, horseback riding, zip line and hiking to see falls. Trail maps leave much to be desired. We left early and did get a refund for other days. We camped at Fall Creek Falls State Park in a Travel Trailer. Singage in park can be a little confusing. Trail signs/maps need to be better. What a beautiful park! Vast amount of space and many scenic views. The restaurant wasn't open yet for the season but the snack bar was. There was a general store, a pool, large lake for fishing, etc. In addition to the campgrounds there is a hotel, and lakeside cottages. The roads are paved and extra attention is paid to the trimming of trees and road edges. Walking to some of the scenic overlooks is for the fleet of foot as the rocks can be a hazard. If I had small children I would be frightened. Our campsite was in the D section. We were in site 201. All the sites in the second circle of D are level and paved. 3 were handicap accessible with raised fire rings and fully paved. Our spacious site was at the end. It was quiet even with the two group cottages just beyond. But that might not always be the case. The teens who occupied it hiked all day and were exhausted, thus going to bed early. Other campgrounds areas were mostly gravel but were spacious. C was rather open (no shade) but the others were in the trees. We are looking forward to going back again and again. We camped at Fall Creek Falls State Park in a Travel Trailer. The namesake waterfall is impressive but the Piney Creek Falls was prettier. Be sure to drive the scenic roads and the bike paths were paved. The park was mostly deserted when we were there. Site D201 has to be one of the best sites in the park. It is within walking distance of the trail that leads to the waterfalls. Space between camping spots was nice, not too close. Our site backed up to a wooden fence which separated us from a couple of "lodge" buildings, but they were not being used. The waterfalls in the park were magnificent, plenty of hiking trails. The only reason I did not rate the park a "10" was because there was some construction across the street and a big diesel pump on wheels turned on every 30 minutes the entire time we were there. It was really aggravating when we were sitting by the fire at night. We camped at Fall Creek Falls State Park in a Travel Trailer. Definitely take the trails to see the waterfalls. There is a camp store that sells toiletries, etc and some nice souvenirs. Very nice state park. Bathhouse was very clean but park was very empty. We camped in the winter so only a couple campers in the park. Most facilities were close (camp office, nature center, etc) Site was level and fairly large. Some of the park has very tight roads and would be difficult to get a bigger rig through. We were in Loop D and it was okay. Park has great hiking and the waterfalls are beautiful. Sites were a little short for us but it was workable. FCF is in the middle of nowhere so be prepared to drive for any supplies. We would definitely return. We camped at Fall Creek Falls State Park in a Travel Trailer. Very nice state park. Excellent as a destination. Our site wasn't very level, and required some effort to get set up properly. Very difficult to get large rigs into some of the sites in the "D" loop...don't know about the other loops. Lots of trees, but tight turns. 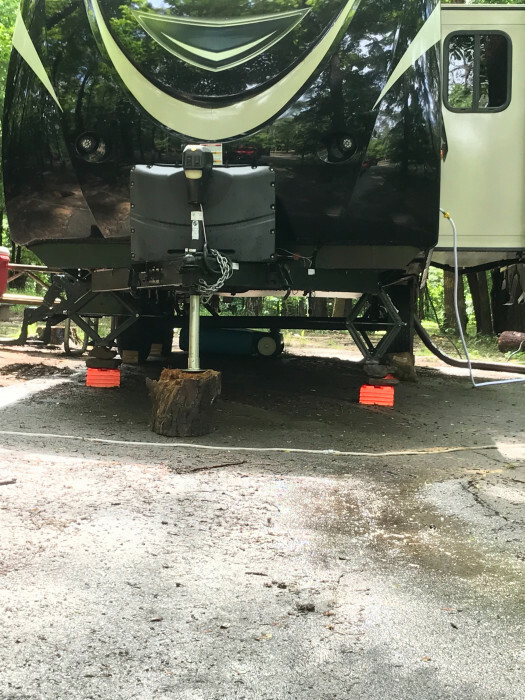 Had a neighboring pull-thru site that was so close that the rear of the neighboring fifth wheel was literally only six feet from the rear of our travel trailer. 30 Amp service showed reverse polarity. We camped at Fall Creek Falls State Park in a Travel Trailer. Wonderful state park. Incredible scenery and waterfalls. Lots of hiking trails, but the trail maps are horrible. Excellent general store. Another great State Park experience. Beautiful grounds, sites were nice and semi private with small concrete pads and a gravel drive. Only complaint would be the sites are steep and not level. It took quite a bit to get the RV true and level. We camped at Fall Creek Falls State Park in a Motorhome. My family camps here at least once or twice per year. It is always a great time because there is so much you can do-or just take-it-easy. We camped at Fall Creek Falls State Park in a Tent. 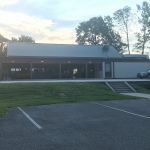 Swim at pool, cascades falls, sight see, hike, bike trails, golf course, riding stables, volleyball, softball, basketball, zip line,nature center,restaurant. Best to use the entrance on the SW side (TN 111 to TN 284). I would not recommend the North side entrance (TN 111 to TN 20 to TN 284). This route has a lot of curves. Take plenty of your preferred leveling materials, then add a little more. There are some sites that are fairly level, but many are not, both front to back and side to side,. Sites 87 and 119 have the hook-ups on the wrong side. Sites 191 and 192 are buddy sites (campers face each other and hook-up are on correct side for both). Lots of trails within the park. Adventure Trek course was great fun. River swimming area and a poo, (small fee) with life guards and two diving boards. Currently they are collecting the fallen trees and cutting and splitting wood in the campground and offering it for free. It is not dry wood, but fresh cut. My only real complaint is that they don't clean the sites. We had trash in the fire ring and other areas of our site when we checked in, as did other in our group. We made sure to leave our site cleaner than we found it. Most sites have picnic tables that are anchored down and can't be moved. The park camp store is well stocked with basic items. The closest grocery store is Save-a-lot about 30 min. away. Walmart is almost an hour. Verizon service was good, the CG Wi-Fi is a joke and never did work. 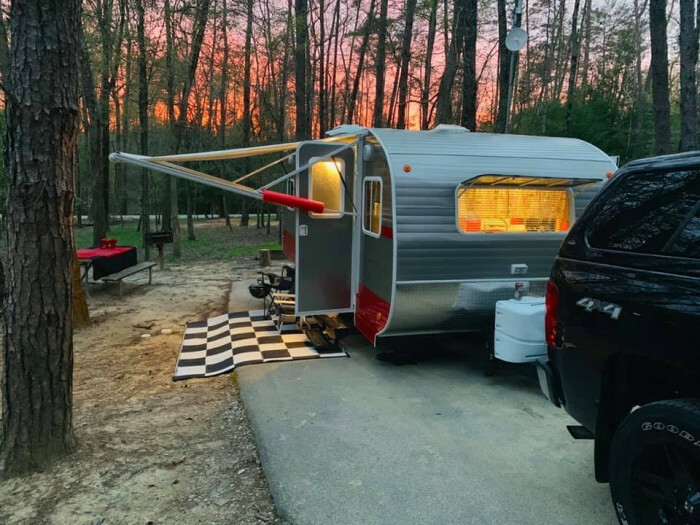 We camped at Fall Creek Falls State Park in a Travel Trailer. Bring a lot of extra leveling blocks. Adventure Trek within the park was fun. There are a few wineries within an hour, to the North of the park. There are riding stables just outside the park (we did not visit). Cumberland Caverns is about a 40 min drive and a nice easy tour. Campstore is nice. If you get really bored, drive the 40 miles to Manchester and eat at West Main Brick Oven Pizza. Didn't try the restaurant at the Inn, but it looked like decent food. Be sure to bring everything you need. Because you are a good 35-45 minute drive from any decent size store. Camp store has almost anything you need and not too bad priced either. Gift shop is nice. Water sports available and fun. Open spaces for kids to play. Restaurant is not very good. It's a beautiful drive entering from the north, but just be ready for some hilly, twisty, and narrow roads. Our RV is about 12 feet tall and we had no problem with vertical clearances (branches, wires). Are you affiliated with Fall Creek Falls State Park ?